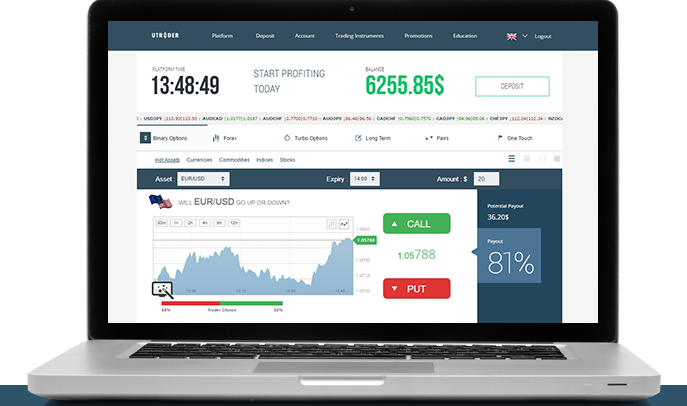 UTrader is a relatively late entrant into the binary options market. In order to catch up with other more established brands in the industry, it has adopted a marketing method of offering a wide range of bonuses and promotions to pull traders to its platform. This seems to be working, as it has gained a considerable pool of traders in a short period of time. However, questions remain as to whether this will be the path to follow in the long term. Traders who are enjoying these bonuses do not seem to care, as long as they benefit from the company’s robust bonus offering. uTrader is a binary options brand which is owned by Day Dream Investments Ltd. The company operates from the Marshall Islands and also has a regional office in Riga, capital city of Latvia. The uTrader brand was launched for the first time in 2011 but was recently rebranded. In terms of underlying assets which are available for trading at UTrader, there are more than 160 different types of instruments spread across 4 major asset classes; namely currencies, commodities, Equities and Indices. This is actually a pleasant surprise for us as it is rare for new binary options brokers to be able to support such a wide coverage of underlying assets. Nevertheless, the fact that UTrader has been able to do that shows that the broker is serious about building up its brand in the binary options industry. Social media: UTrader can also be reached on Twitter (twitter.com/uTraderEnglish) and Facebook (www.facebook.com/uTraderEnglish). 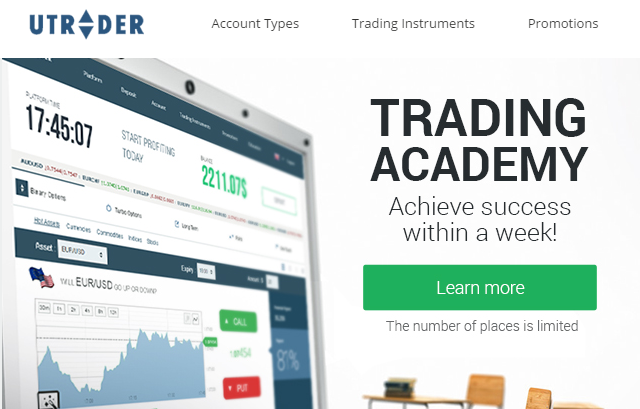 UTrader is an upcoming brokerage, but it has some aspects of its operations that must be sorted out before it can start to challenge some of the industry leaders. UTrader’s owners need to start working on securing licensed status from any of the recognized binary options regulators if it is to gain traction among the expanding pool of traders. Some binary options robots are compatible with the UTrader platform. 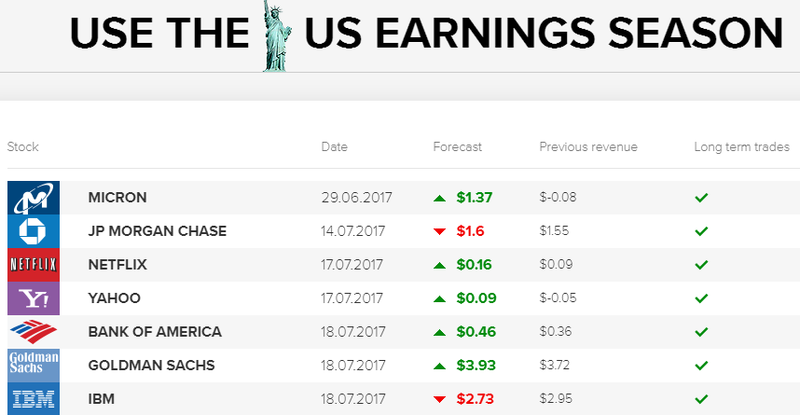 A schedule of US earnings releases is provided to enable you trade US stocks as binary options at the appropriate time. The current laws in the US on binary options do not allow UTrader to accept US citizens on its platform.